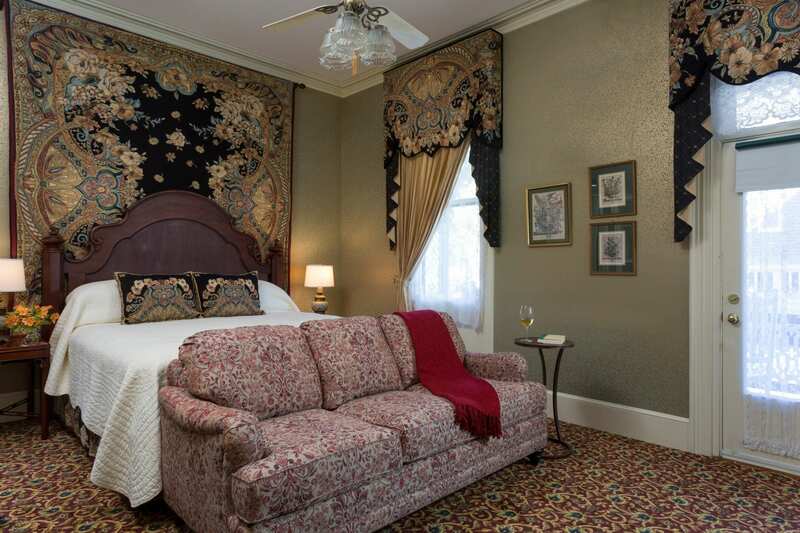 The Lord Melbourne room is the newest room in The Queen Victoria. 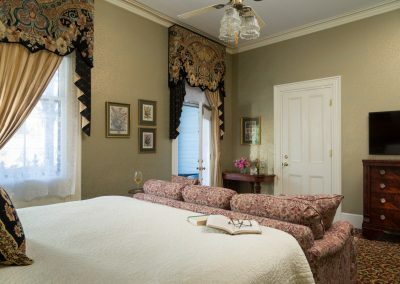 When you step through the door, you’ll immediately understand that it is also a very special room. 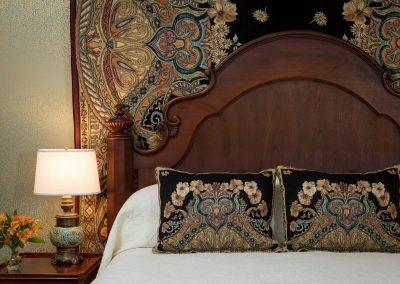 The king sized bed, with its magnificent headboard, is brilliantly accented by the stunning tapestry on the wall behind it. 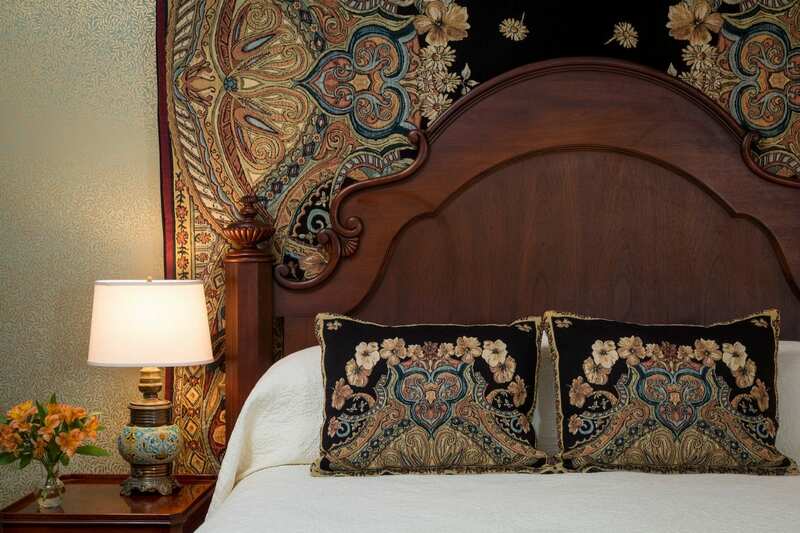 The window treatments, which match the tapestry, add a drama to the room that you’re sure to appreciate. 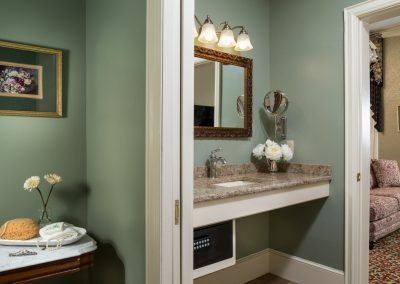 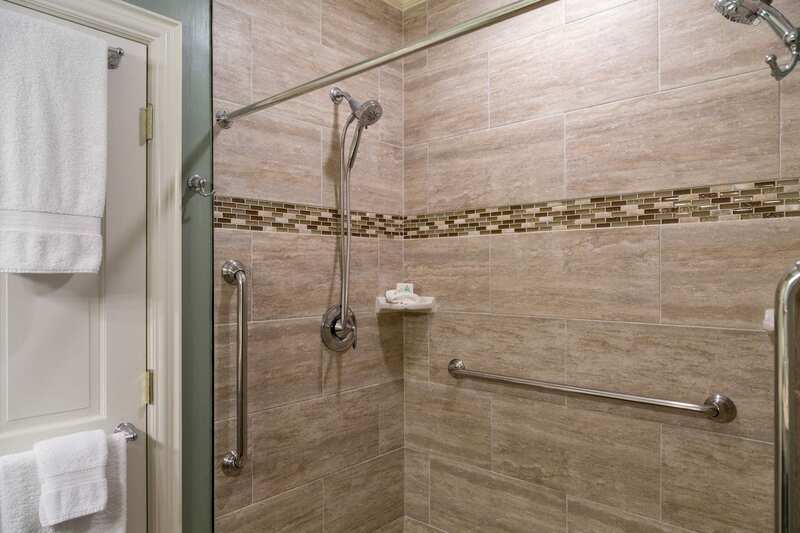 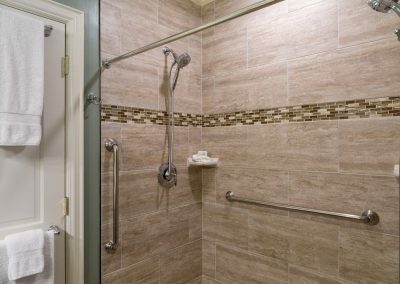 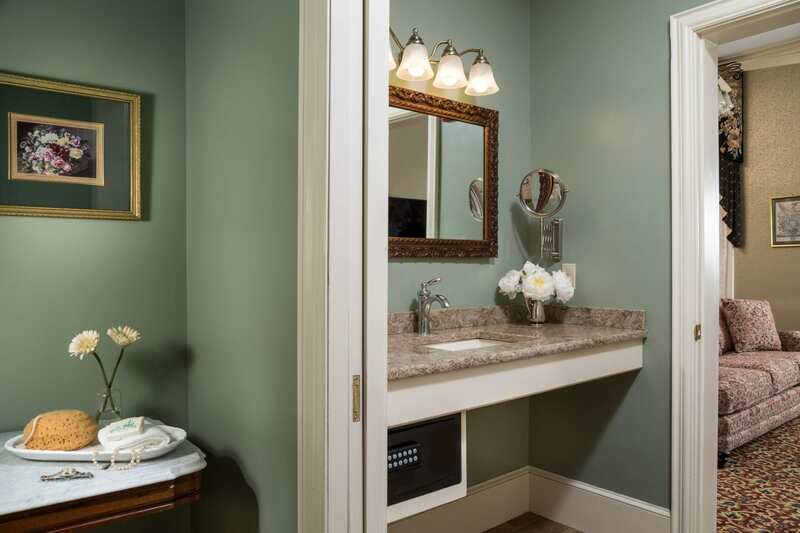 The luxurious bathroom features a 2-head/2-person step-in shower, a beautiful granite vanity, and a wonderfully private water closet (separate room for the toilet). Perhaps the most impressive feature of Lord Melbourne, beyond the dramatic 12’ high ceilings, 49” flat panel television, in-room Keurig, and comfortable full-length sofa, is the private porch. 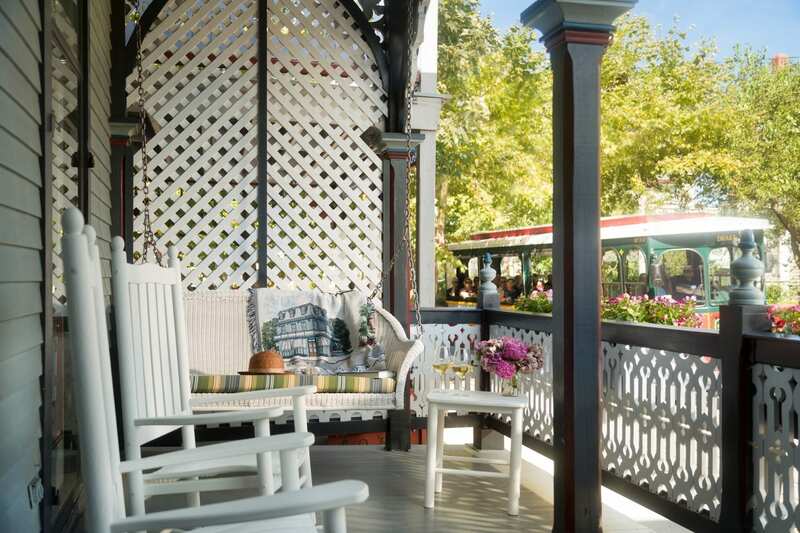 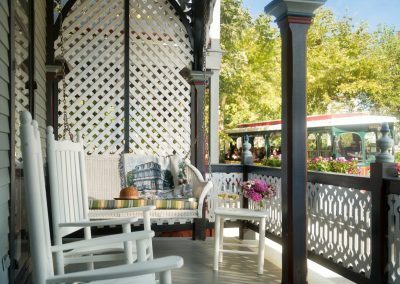 Step through the door onto the huge private porch and you’ll have the choice of luxuriating in either the porch swing, or the rocking chairs. 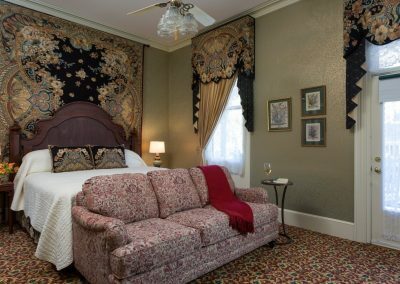 Like all of our rooms, Lord Melbourne features all the conveniences you’ll need for your stay at The Queen Victoria, including a mini-refrigerator (stocked with beverages), iron with ironing board, hair dryer, makeup mirror, and alarm clock.